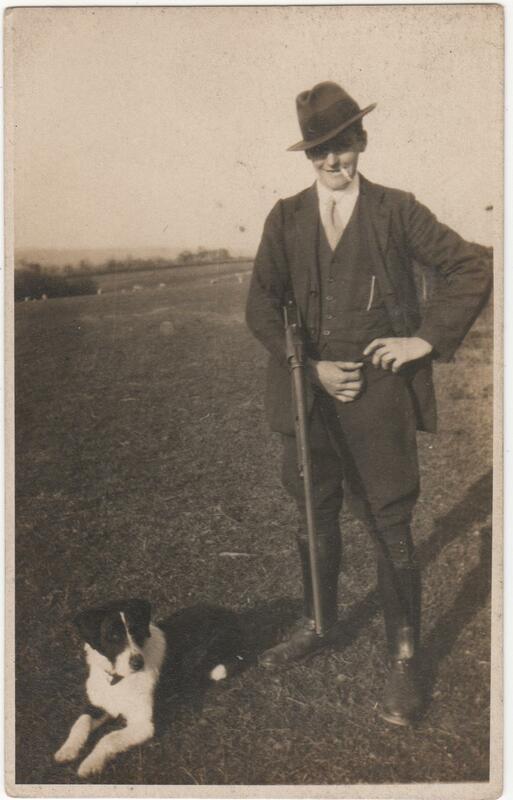 Edward Catt and his daughter, Julie, have let me have copies of several photos from their family album. Quite a few of them are of their family hop picking and I will put these on a page in the hop picking section. Below are two more general photos of the Catt family and Bodiam. Julie has provided the following comments on this photo. 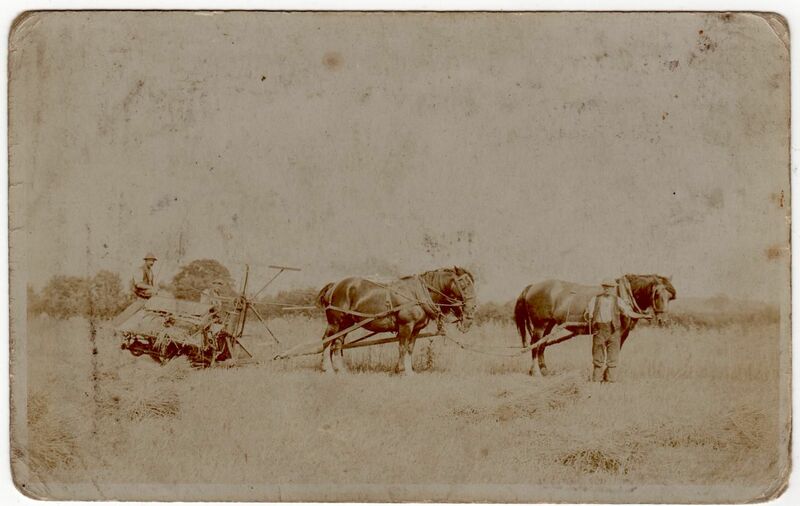 "This photo was taken in September 1919, date on rear of photo. (newly returned from WW1, the only one of Jesse's three sons, who all worked for Guinness, to return). There is a resemblance also with known photos of him and he started working for Guinness in January of that year." Frank Catt and Toby the Dog, out & about somewhere in Bodiam.